The role of particles in many complex environments is poorly understood and quantified and there is a considerable gap between the complexity of particles characterised in the atmosphere and those studied in controlled laboratory measurements. This book focuses on the spectroscopy and dynamics of microparticles, and considers the chemistry of microparticles in a range of environments. Discussions in the title review new and developing characterization techniques as well as techniques for examining the chemical dynamics of particles in controlled laboratory investigations. 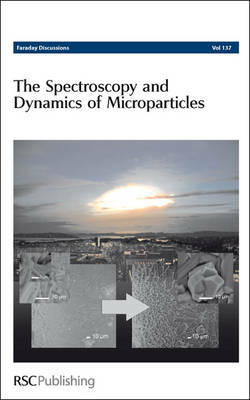 The focus is on micron sized particles and this book will be of exceptional interest for anyone working in this field. Faraday Discussions document a long-established series of Faraday Discussion meetings which provide a unique international forum for the exchange of views and newly acquired results in developing areas of physical chemistry, biophysical chemistry and chemical physics. The papers presented are published in the Faraday Discussion volume together with a record of the discussion contributions made at the meeting. Faraday Discussions therefore provide an important record of current international knowledge and views in the field concerned.